Illinois, there’s no reason to not start out hot. Or is there? Time for week one actions…. Illinois is (1-0) all-time against the Ball State Cardinals. There last (and only) meeting was in 2007, Illinois won 28-17 at Memorial Stadium. Ball State is (3-36-1) against teams in the Big Ten. All three wins have come against the Indiana Hoosiers in Bloomington -or- Indianapolis. Not to start the season being over confident about the Illini or to appear condescending, but we all know there’s still work to be done on an inconsistent offense from last season, and the defense that needs fine tuning. This week, Mike Neu’s Ball State Cardinals will travel to Champaign to open their season with the Fighting Illini. The MAC West’s worst team a year ago, Ball State comes into the 2017 campaign after posting a 4-8 record last season. While that’s not anything to brag about, it should be noted that 4 of the 8 losses the Cardinals had were by 7 points or less (2 were by 3 points or less). The Ball State offense creates big holes to roll through, and that’s not a plus for an Illinois defense needing to overcome the loss of all four starters up front. They can flat out run the football and having a quarterback as mobile as Riley Neal makes that an easier feat to overcome. Neal was the third best rushing QB in the MAC, averaging 4.3 yards per carry, totaling 543 yards, and scoring 8 touchdowns. In the backfield is James Gilbert, who ran for 1332 yards (3rd in MAC) averaging 5.3 yards per carry (8th in MAC) and 12 touchdowns (T1st in MAC) in 2016. If there’s one thing that Illinois needs to defend against on Saturday, it’s the run. In short, the Illini must win this opener against Ball State but as we know, it will not be easy. The Cardinals will be a tough competitor who will not lay down and surrender. With Western Kentucky and a trip to South Florida up next, nothing is given to this Illini team and they must show up and play four quarters. Follow us live for in-game updates and for our Big Ten Week preview, click here. After opening the season with four games in nine days, 4-0 Illinois plays its lone game in an eight-day stretch, hosting 2-3 Chicago State on Friday night, and extended their 2013-14 streak to 5, defeating the Cougars 77-53. This victory gives the Illini their third consecutive season with a record of 5-0. Senior Jon Ekey was the spark the team needed Friday night against Chicago State, as he lit things up on the court including a put back dunk, and back-to-back threes. WATCH! Ekey led the way with 19 points and snagged 6 boards, followed by a trio of players who added 12 points including Joseph Bertrand, Tracy Abrams and Rayvonte Rice. Bertrand snagged 8 boards. Coming off a 5-of-7 three-point shooting performance against Bradley on Sunday, Ekey again hit five threes to bail out the Illini against the lingering Chicago State team. After the Cougars pulled within four (55-51) with eight minutes left in the ball game, Ekey got his spark started with a dunk 30 seconds later, and didn’t look back. On the other side of the court, the Cougars’ Clarke Rosenberg led the way with 16 points, followed by Matt Ross who added 13. Eddie Denard snagged 5 boards. The Cougars shot 18-45 (40.0%) from the floor while Illini shot 26-54 (48.1%). Home team also controlled the boards with a 39-20 margin. Up next for Illinois is a trip west to face UNLV, November 26. Up next for Chicago State is Southern Illinois, November 30 at 205pm on their home campus. The game can also be heard on the world-famous WVON 1690AM. Illinois is now 13-0 in November under head coach John Groce and has won its last 24 games overall in the month of November. 34, 24 ~click here to read our recap! The Boilermakers came to play taking an early lead of 10-3 at the half against the Irish but couldn’t stop the visitors from scoring in the fourth quarter. 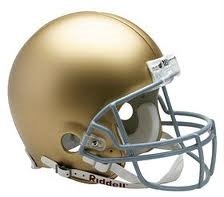 The Irish scored 21 points in the fourth quarter which proved to be enough to steal a victory 31-24 on Saturday night. Notre Dame receiver DaVaris Daniels staggered Purdue with two late touchdowns. Three plays after his second score, teammate Bennett Jackson delivered the final blow — a 34-yard interception return for a score. One the winningest program in college football might have just had its worst win. 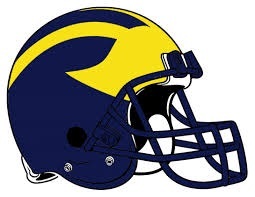 Fitzgerald Toussaint scored a go-ahead, 2-yard touchdown with 2:49 left and Michigan made a desperately needed stop on the final play to hold on for a 28-24 victory over Akron on Saturday. It’s something about Michigan (3-0) and the Mid-American Conference, where they seem to have a few problems as they did with Appalachian State and Toledo. The Bruins came back from 18 points down behind the fine play of QB Brett Hundley, who threw three touchdown passes and stunned Nebraska 41-21 in front of a record crowd of 91,471 on Saturday. The win for UCLA came six days after receiver Nick Pasquale was killed when he was struck by a vehicle while he was walking in his hometown and a day before coaches and teammates travel to San Clemente, Calif., for his memorial service. CHAMPAIGN — Nathan Scheelhaase got things started a\early and that was enough for the teams first win of the season, Saturday’s 42-34 over visiting Southern Illinois. He also threw for a career-high 416 passing yards under the revamped offense and his performance was enough to avoid a late charge from the Salukis. Saturday’s game actually wasn’t decided until SIU quarterback Kory Faulkner sailed a pass from the 3 too high for tight end Adam Fuehner in the end zone on the final play. 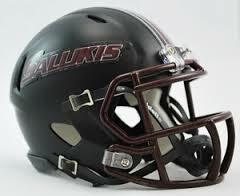 The Salukis nearly overcame a 22-point, late third-quarter deficit and could have forced overtime. V’Angelo Bentley’s school record-tying 100-yard kickoff return for a score in the third quarter along with Josh Ferguson’s 53-yard yard touchdown catch off a screen pass in the second were two big plays the Illini sorely needed to avoid embarrassment. One could imagine the fallout had the Illini found a way to lose, particularly with second-year coach Tim Beckman already feeling heat after last season’s 2-10 record. “We’re here to win. We’re here to score points,” Beckman said. “We’re here to do what we need to do to be successful. The mentality around Illinois football obviously has changed and many people are looking forward to seeing more from them over the season. CHAMPAIGN – Coming into tonight’s contest everything seems to be clicking for the Indiana Hoosiers (20-3, 8-2), as they reclaimed the country’s No. 1 ranking behind three impressive wins last week, and they were hoping to open up to 5-0 on the road in Big Ten and avoided a 10th loss in Champaign, but that wasn’t the case tonight. As the home team, Fighting Illini (16-8, 3-7), continue their winning ways at home against the Hoosiers with a 74-42 victory. With .9 seconds, senior forward Tyler Griffey made the easiest, yet biggest shot maybe of his career to seal the win. Griffey left defenders Cody Zeller and Christian Watford behind on an inbounds play from the baseline, took the pass from Brandon Paul and delivered the uncontested buzzer-beater for the Illini. Coming down the stretch, Indiana was in charge until Illinois put together a run to take and then retake the lead. On top of it all, 6-foot-11 Nnanna Egwu fouled out with just under 5 minutes to play, Indiana looked totally in control. Egwu is the only Illini player with the size to realistically match up with the 7-0 Zeller, but size wasn’t what the Illini needed, they needed scoring…. Watford made two free throws after Egwu’s fifth foul and, at 69-59, the Illini looked done. But with the clock under 3 minutes, DJ Richardson went on a run of his own, first burying consecutive 3-pointers and then hitting a midrange jumper on the run to tie the game at 70 with 1:17 to play. Victor Oladipo’s layup put the Hoosiers back on top with 50 seconds left, but Paul answered with two free throws, the first banked in, to tie the score again at 72. With the clock under 30 seconds, Indiana had the ball for what would have been a last shot but Oladipo fumbled the ball. Richardson picked it up and sprinted down court. Oladipo slapped Richardson’s layup out of bounds to set up the final play – .9 on the clock, and well, bad defense and lack communication on Indiana’s part. Coach Groce credited Richardson for sparking the comeback. Richardson had 23 points for Illinois, Brandon Paul had 21 and Griffey finished with 14 points and eight rebounds. Zeller led Indiana with 14 points, while Will Sheehey had 13, Watford 12 and Jordan Hulls 11. Indiana shot 50 percent from the field (25 of 50), 52.9 percent from 3-point range (9 of 17) and 93 percent from the free throw line (13 of 14). The Hoosiers led by an 8- to 10-point margin for most of the second half. ”It was good to get back to having that toughness and togetherness and trust that we needed,” Illinois coach John Groce said. FUN FACT: Illinois hadn’t beaten a No. 1 team since a 2004 win over Wake Forest. FUN FACT: No. 1 Indiana on Thursday night, the fifth straight week the nation’s top-ranked team lost. Who will receive their first conference win? Illinois (2-5, 0-3) return to Memorial Stadum for the first time in four weeks to host the Indiana Hoosiers (2-5, 0-3) as part of the University of Illinois’ 102nd Homecoming celebration on Saturday (11 am CT, BTN). Illini have played 28 games after a bye in the modern era and are 11-17 in those contests. A pair of teams still winless in the Big Ten Conference Leaders Division try to get their seasons back on the right track when the Illinois Fighting Illini host the Indiana Hoosiers on Saturday afternoon. Indiana’s season started off very well with a pair of wins over non-conference foes Indiana State (24-17) and UMass (45-6), but since then it has gone into a tailspin with five consecutive losses. The Hoosiers’ three losses in league play have come in hard-fought battles against very good teams in Northwestern (44-29), Michigan State (31-27) and Ohio State (52-49). 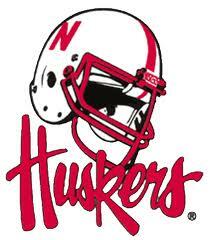 Still, they have gone just 3-25 against Big Ten opponents since the start of the 2008 season. On the other hand, Illinois is in the midst of a four-game losing streak, falling most recently to Michigan on Oct. 13, 45-0. Unlike the Hoosiers however, the Illini have not shown much promise in their games, with all five of their losses coming by 14 points or more. 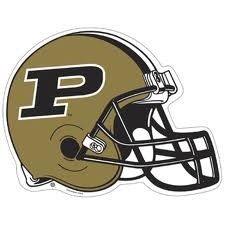 They have scored a pair of wins at Memorial Stadium, although they came against obviously inferior competition (24-7 versus Western Michigan, 44-0 versus Charleston Southern). Indiana must contain Illinois’ rushing attack and force the Illini to become one-dimensional. That means doing a better job of bottling up the read-option play that is a staple of Illinois’ offense and not allowing the Illini to run off the big plays that were so devastating to the Hoosiers when they played Northwestern and Ohio State earlier this year. IU’s defense must create turnovers, and the Hoosiers can’t suffer through offensive brownouts in the fourth quarter. Indiana must be disciplined and limit its mistakes on both sides of the ball. 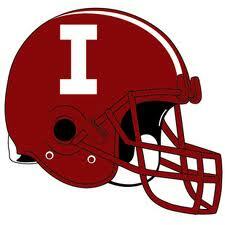 This week’s game marks the 70th meeting between the Fighting Illini and the Indiana Hoosiers. The Illini have won four of the last five against the Hoosiers and hold a 45-21-3 overall series advantage against IU. The Illini won last year’s meeting in Bloomington, 41-20, giving the Illini a 6-0 start to the season. Illinois coach Tim Beckman has never faced the Hoosiers, while IU coach Kevin Wilson is 0-1 against the Illini. The last two times the Hoosiers have come to Illinois’ Memorial Stadium, the Illini have put up 55 (2008) and 43 (2010) points in blowout victories. OUT FOR THE SEASON: Defensive tackle Jake Howe (10/1, leg) and Linebacker Henry Dickinson (8/26, ankle/leg). LB Chase Hoobler has returned to practice and could see playing time vs. Illinois this week. He last played in the first quarter in Week Two vs. UMass. 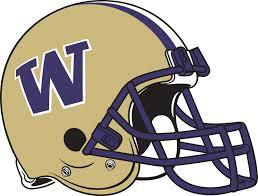 LB Jacarri Alexander has been banged up and missed last week’s game, but he is expected to be back this week. The first homecoming celebrated on Illinois’ campus was on Oct. 15, 1910, which the Illini won 3-0 over Chicago. This year’s game against Indiana marks the Illini’s 102nd Homecoming. Illinois has an all-time record of 44-55-2 on Homecoming. This year will mark the seventh time overall and the second time in the last three years that the Illini have hosted Indiana on Homecoming. 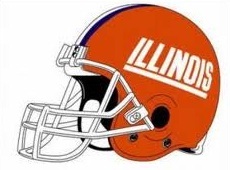 Illinois is 4-2 all-time in Homecoming games against the Hoosiers. Illini snags a 42-41 victory over Spartans. In front of 15,629 fans, Fighting Illini (16-6, 5-4) hold off Spartans (17-5, 6-3) with a super-slim 42-41 victory. Down the stretch both teams had a shot to win, but between free throws and shot selection, the game was decided by the clock. Michigan State didn’t give up coming back from 6 when the Illini went cold. It was the play of Draymond Green that sparked the team late even though he had four fouls. Green made a jumper which gave the team the lead again at 36-35 with 5:03 left to play. Then Branden Dawson grabbed a big rebound and put it back, stretching the lead to three (40-37). But unfortunately, Green went down with a knee injury with a little more than 4 minutes left. During this cold period for the Illini, it was Brandon Paul who stopped the bleeding slamming the ball threw the hoop with 3:50 to play. From this point, it was lots of bad shot selections for both teams until Tracy Abrams nailed three-pointer to tie the game at 40 with 2:11 to play in regulation. “Abrams seems to continue to play better in games than in practice for us,” Webber concluded. Paul sealed the victory hitting two free throws with 45 seconds. As the final score illustrated, both teams shot well below their averages: Illinois shot 24.1% from the field and 21.4% from behind the arc; Michigan State shot 32.6% from the floor and 17.6% from downtown. Paul led all players with 19 points and 9 boards. The surprise scorer for the Illini was freshmen Myke Henry, who knocked down 6 including an easy put back to give the team the lead at the half. Dawson led the Spartans with 12 and the team continued to crash the crash the boards. They were 49-32 of which 23 were offensive. Maybe the Illini started a new homecourt winning streak after losing their previous one of 14 with the lost to Wisconsin January 22. The Illinois / Michigan State series record is now 56-55, Illini. NOTE: No update is available for Green’s injury at the time of this article. Illinois is promoting Operation Blue-Out for Tuesday night’s game vs. Michigan State. All fans are encouraged to “wear blue to beat cancer” when the Illini and Spartans battle. Coach Weber and his assistants will be sporting Nikes on the Assembly Hall sidelines during the game against Michigan State, trading in dress shoes for the annual Coaches vs. Cancer Suits & Sneakers Awareness Weekend. Since Illinois had a road game and MSU had a bye last weekend, both coaching staffs are participating in the event Tuesday night. Coaches vs. Cancer is a collaboration between the ACS and the National Association of Basketball Coaches. Since 1993, the organization has raised more than $50 million for ACS. Coach Weber serves on the Coaches vs. Cancer national board and was recognized for his contributions and involvement with the program by receiving the Coaches vs. Cancer Champion Award in 2007. Weber also was one of four head coaches who traveled to Washington D.C. in 2010 to participate in a Capitol Hill rally, urging Congress to increase federal funding for cancer research and prevention programs. Be sure to bookmark our site, as well as follow us on Twitter at @ASNN365 (like us also on Facebook… @ASNN365). Illini knocked off number 5 ranked Ohio State 79-74 in front of 14,636 faithful fans behind the superb play of Brandon Paul, who finished the contest with 43 points, of which, was eight three-pointers (third highest in Illinois basketball history). Paul played big on both sides of the ball… defensively he snagged six boards and four blocks – two of them he threw the ball into the stands. At the half, the Buckeyes had a 5 point lead, 39-34, led by Jared Sullinger who had 13, but coach Webber got the team focused. Key halftime stat for the home team was they never shot a free throw in the first half… while the Buckeyes are 3-3. The Illini were not able to stop Sullinger, but they sure did slow him down from his normal dominance. He finished with 21 points, five boards and zero blocks. Buckeyes shot 47% from the field and 33.3% from behind the arc, while Illinois went 60% and 61.1% from the arc. Meyers Leonard played 38 minutes in the contest and finished with 14 points and five boards. “That’s (38) is a lot of minutes for a big man,” he said after the game giggling with us. Paul scored the last 15 points for the #illini and he finished with 4-3!!!! NOTE: Paul’s 43 points is first 40-pt game for a Big Ten player since OSU’s Jared Sullinger last year. Before that? MSU’s Shawn Respert in 1995. “Right now, the team needs some rest,” concluded coach Webber as their next game isn’t until January 19 as they travel to Penn State. OSU turns things around a little quicker hosting Indiana January 15. This is definitely an instant classic for the BIG Ten… plus Lou Henson’s banner now hangs for years to come from the rafters of the house he built. You can watch the banner being raised by clicking hereBanner. See you from the pressbox.